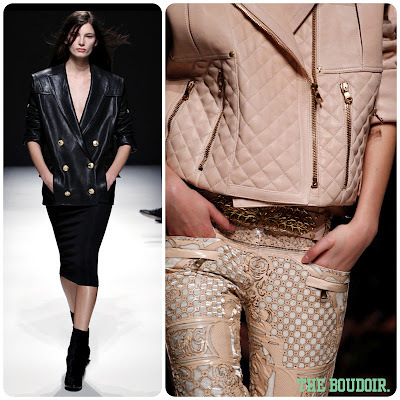 Balmain is the love of my life. I literally go gaga over any collection. Even though its a really expensive brand, I wouldn't mind in investing in a piece a year. 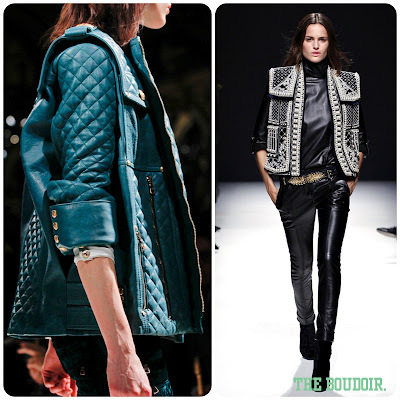 The biker look is still happening with the brand yet another season. We see lots of pearls, studs, and some flower motifs. 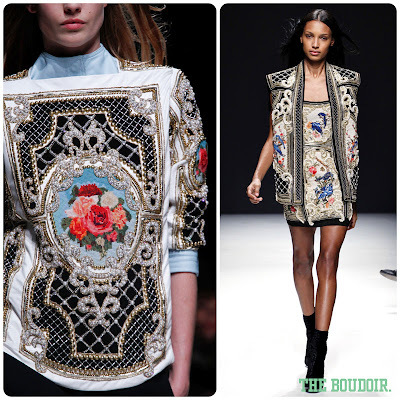 I guess the flower needlework is happening this season, as seen in the previous Dolce & Gabbana post. 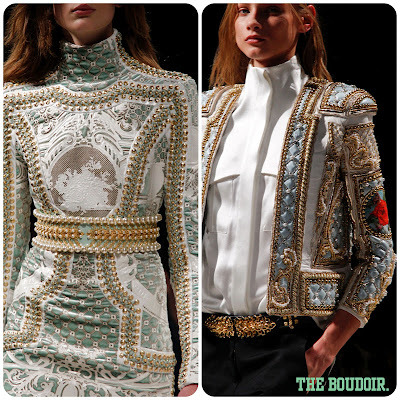 Balmain is still creating heavily adorned pieces. Plus double layered cutouts. Pastels, blacks, and teal dominate this collection.